What was considered a remarkable method some years back, today, using solar cells to charge your phone has gone too main stream. How about doing it with a flamethrower, or moon light maybe? Brace yourselves up for an unusually long and interesting compendium of some the most craziest things you could use to charge your phone. And of course, I thank science for bringing these things into the world. Here, I’ve compiled a few crazy ways to charge your phone. Feel free to contribute any others you know and point out ignorance in the comments section below. Note: The absurd methods I’ve collected here may set your phone on fire, or worse. So, please do not try them at home. If you do, and succeed in melting your phone, do not blame me for it. Or rather, read whatever you can find about it, before experimenting. What if photovoltaic cells were so efficient that they could draw electricity from the moon-light all night? Well, here you go. A German architect named André Broessel worked on a project for 3 years to put together a novel process of drawing solar energy that would be far more efficient than the existing ones. In the end, he came out with this perfectly spherical glass ball filled with water, which can use up whatever minimum light it receives to create electricity. So, on a cloudy day or even at night (using light from sun reflected by the moon), with this set up on your terrace you’ll be making electricity 24X7. Moreover, you don’t have to worry about the sun or moon moving in the sky. It comes with a tracking system which adjusts itself to capture the light. It is basically a super-refined version of one of those solar death rays I talked about a few days back. Your phone is small; this is something which could make whole skyscrapers go off-grid. So, go and give it away on Indie GoGo whatever little you can contribute to the project. With the amazing moon light capture device for the future, now let us move on to this hand cranked variant of a mobile power bank, you can buy right now. For everyday use, this backup battery pack comes with a hand turbine power generator that will keep you all charged up all the time. It contains a rechargeable 2000 mAh lithium battery for power which can be cranked up for about a minute to create 4 minutes of battery life out of thin air. If you were expecting free energy, in the end, it is important to know that with this device, to bring your phone from completely dead to 100% battery would require nearly an effort equivalent to a full-body workout. Also, I found a cheaper variant, which works on a similar principle but isn’t documented well on the internet. It got “India talking” for obvious reasons (costs only $7). They call it the RotoCharger. If you are looking for an easier way, read on. Yes, the same thing that Raijin (雷神) drops on earth 100 times every seconds, is 3 miles long and carries a current of 10,000 Amps at 100 million Volts, was used to charge a Nokia phone. Last year, scientists from the University of Southampton teamed up with Nokia to try and harness the energy of a lightning bolt to charge a phone. They succeeded in charging a Nokia Lumia 925 with a 200,000 volt lightning bolt, created in the laboratory. In a recent development, researchers at the University of Texas at Arlington have developed a micro-windmill made up of a nickel alloy. It is so small that you could put 10 of them could on a grain of rice. According to them, in the future, hundreds of these tiny windmills could end up in the housing of your smart phones and power them using wind energy. Earlier, undergrads from Nirma University of Ahmedabad in India had developed an eco-friendly headgear that used a little fan for harnessing wind energy. As it also uses solar energy, at just $22, it is indeed a great device for charging your phone on the move. Talking about devices that can harness wind energy on the move, the iFan is one ingenious device that comes to mind. 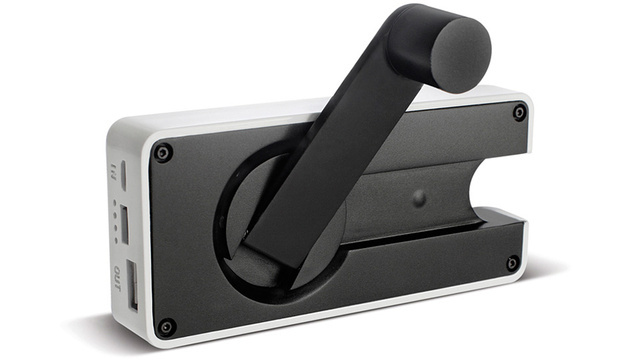 It can be mounted on a bicycle or can be held outside a car window to charge your iPhone. Lung Power: Talking about air, there is this clever gadget that transforms the air from your lungs into energy to charge your phone. Created by Inventor Joco Paulo Lammoglia, from Rio de Janeiro, Brazil, AIRE mask can harnesses the wind power created by breathing and converts it into electricity to run anything from your iPod to your mobile. Eight hours in the sleeping bag, roughly speaking, will provide 24 minutes of talk time and 11 hours of standby time. That’s assuming the inside of the sleeping bag is 37 degrees – human body temperature. 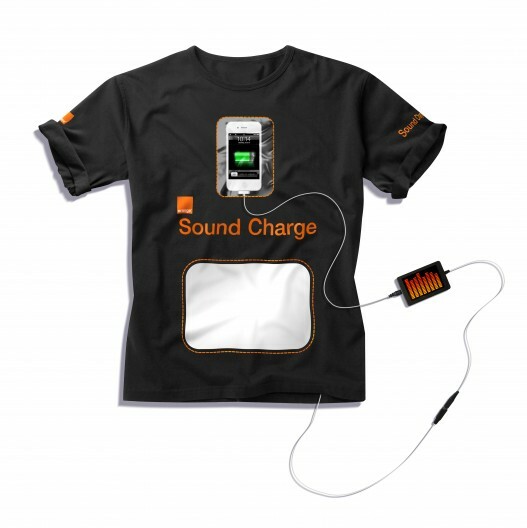 In theory, talking to your can generate energy to charge a phone. Although to win a substantial amount of battery life from this prototype, you’ll have to scream at the top of your voice. According the lead researcher, Sang-Woo Kim of Sungkyunkwan University’s nanotechnology institute who invented it, it requires 100 decibels to generate 50 milli-volts of electricity. That’s enough to give a Smartphone battery a little support, is still far from what a normal wall plug charger could give you. The researchers are really confident about taking this technology to the next level and making it viable for practical use. There was a time when kinetic wrist watches were the fad. 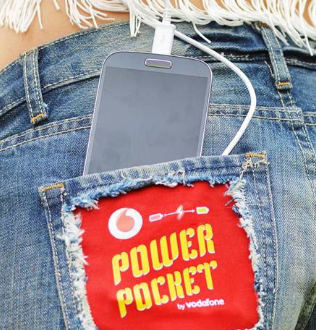 Today, how cool would it be if you could shake up your phone for an extra boost? So, Researchers at Virginia Tech tried to make a charger that draws energy from a piezoelectric material and could convert vibrations into energy. They say, when it is done, simple taps on the phone screen or keyboard would produce enough energy to deal with emergencies. But, long before the researchers announced this, the world had seen nPower PEG. Apparently, it is the world’s 1st human-powered charger for hand-held electronics. It gives you access to backup battery power even when you’re away from home by using the energy you generate while walking, running, or biking to charge your smart phone, music player, GPS, or other devices. Ah! I’ve written too much for the day. Remember to check back next week for the 2nd part of this post.